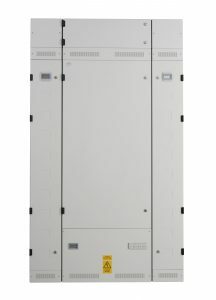 Crabtree explains how its new Powerstar VM160 panel boards offers high standards of protection and control. Increased capability all-round. That is the simplest way to describe the Powerstar VM160 panel board from Crabtree, one of the leading brands at Electrium. Designed and manufactured in the UK, this latest generation of Powerstar panel boards offers high standards of protection and control, plus a host of other market-leading, user-friendly features. Competitive? Definitely. In more ways than you might imagine, too. For example, this is one of only two panel boards on the market capable of offering a true Form 4b Type 6 group mounted solution. So, now specifiers and installers have a real choice. Easy fit MCCB control and monitoring accessories. The VM160 has been designed for ease of installation. All enclosure keyhole fixings are positioned ‘in’ from the corners to allow easy access for power tools. VM160s’ asymmetrical terminals provide certainty of connection. VM160 also includes ‘faster fit’ copper interconnections at the front of the board (no awkward hand positions or dropped parts from working blind to hold ‘out of sight’ nuts and bolts in place). The Powerstar VM160 has increased internal cabling space that provides greater access to terminals, while the flat cable ways allow the back plate to be installed and then cables fitted before the side walls and front cover – providing additional working access for wiring, especially important when handling larger cables. 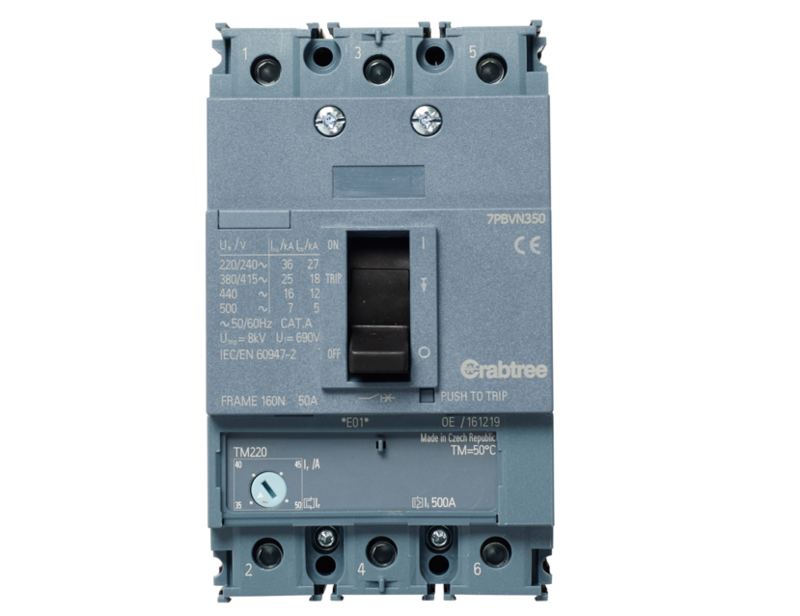 VM160 also benefits from a new range of MCCBs; utilising Siemens technology, and with an enhanced range of easy fit accessories including shunt trips, under-voltage releases and auxiliary contacts, the new MCCBs have increased current ratings and breaking capacities up to 55kA at 415V. For more information about Crabtree’s new Powerstar VM range, simply submit a request.